THE English language has become a wonderful heritage shared by all Nigerians; one that greatly enhances communication and helps position us advantageously on the world stage. Notwithstanding, our indigenous languages are still necessary tools for the development and enlightenment of a large part of our population. 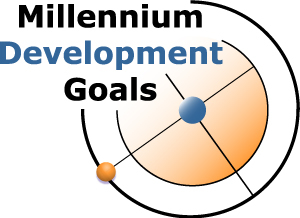 A third MDG is that of developing a global partnership for development. This is where a diversity of languages becomes really important as an industry that will boost the economy and create jobs. Nigeria’s many languages are being spoken by different peoples within a 162 million-strong population. Now, as the world is becoming increasingly globalised, and products travel around the globe, many multi-national companies, NGO’s, governmental agencies and businesses, are investing in language services to contextualise their messages and better reach out to their target audience. This is even so because it has been shown from many studies that small investments in multilingual versions of content to be sold or disseminated, leads to a higher ROI. As Nigeria’s economy grows, many businesses and organisations within and without Nigeria will be seeking to reach out to the large Nigerian market with their products or investments. If the right structures are created, it means these countries will have to employ Nigerians who can speak, read and write in Nigerian languages so as to create multilingual content for their products and services. In an article on language, economic growth, and jobs in the United States, Hans Fenstermacher (Chairman of GALA, the largest non-profit language industry association in the world), gave in 2011 alone, companies in North America outsourced $15 billion worth of jobs to thousands of companies specialising in language services. He went further to say that the language services industry was responsible for 190,000 full time North American jobs in 2011, and a greater number of part-time jobs in same North America. In fact, he asserted that without languages there will probably be $1.5 trillion missing in total goods sold in the U.S., and that languages and the businesses they are responsible for, might be the most powerful force for job creation in the U.S. today! So why can’t we ride on the backbone of our many languages so we replicate this kind of economic success in Nigeria? We can go on to create jobs for thousands, if not millions, of Nigerians who can be translators, interpreters, teachers, writers, technology developers, and localisation service providers to multi-nationals, NGOs, advert companies, government agencies, security outfits and world bodies like the United Nations. Billions of naira is spent monthly on media content. The bulk of this is structured in English and the remainder is mostly presented in the three major languages even though the target audience is many times Nigerians of every tongue. MediaReach OMD, in their 2011 Mediafacts report, put advert spending for that year at N102 billion. Imagine if many of these adverts were communicated in hundreds of Nigerian languages, especially by the major GSM operators who spent the largest part of N20 billion, that year. The messages would be clearer to millions of the receivers, more meaningful, and ultimately create greater ROI for the companies, not to mention the many jobs that would be created and distributed across Nigeria. Why are Nigerian hospital patients not patient?